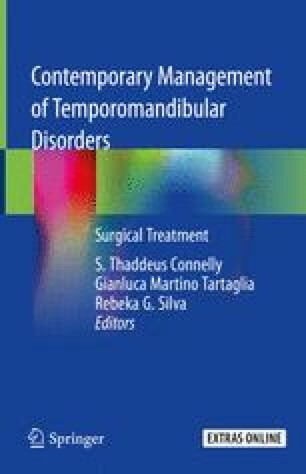 Surgery of the temporomandibular joint apparatus is rarely the first line of treatment for articular disc disorders or internal derangements. However, persistent symptoms following nonsurgical treatment modalities, as well as failed prior less invasive joint procedures (e.g., arthrocentesis, arthroscopy), may warrant open-joint surgery. This chapter will focus on open surgical management of internal derangement of the temporomandibular joint, including disc repositioning, discectomy with replacement, discectomy without replacement, and arthroplasty procedures.